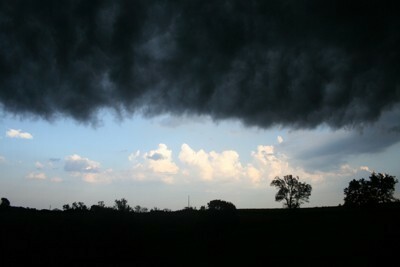 Storm clouds can be beautiful and powerful photo subjects. 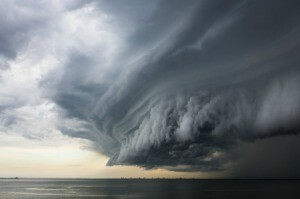 This page contains storm clouds photos. Yesterday afternoon, while under a tornado watch, we had a brief storm to pass over. Just before it ended, we had pea size hail which thankfully did no damage as far as I know. 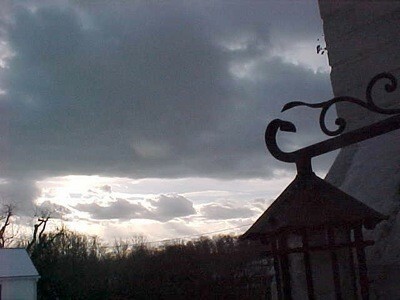 Afterwards, I went outside and the clouds looked eerie. I took a photo. 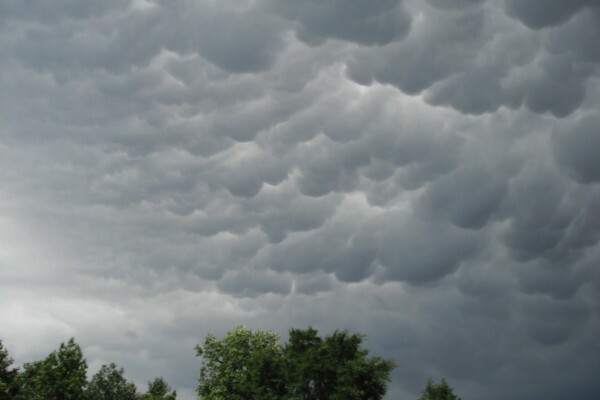 I took this picture of strange looking storm clouds. The storm its self wasn't that bad but the clouds looked fierce. 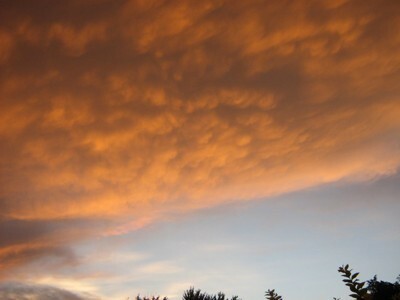 As a storm passed by at sunset, I thought about the beautiful song our choir sings, "Till the Storm Passes By". It reminds me of God's love and how he protects us from all the storms in our life. My camera could not capture the real beauty of this cloud, but I gave it a try. This was a storm rolling over top of us a week ago. Since there was no touchdown of any danger, the obvious stop of sunshine and start of storm line became a beautiful picture. It had been quite hot, then out of nowhere came these mean looking clouds. We had a terrible rain storm that lasted all of about 15 minutes. 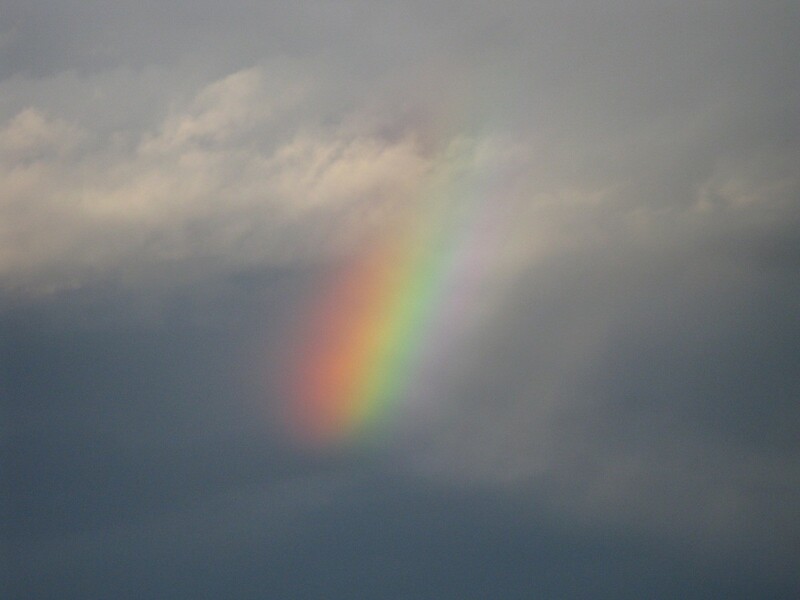 This small part of a rainbow appeared. 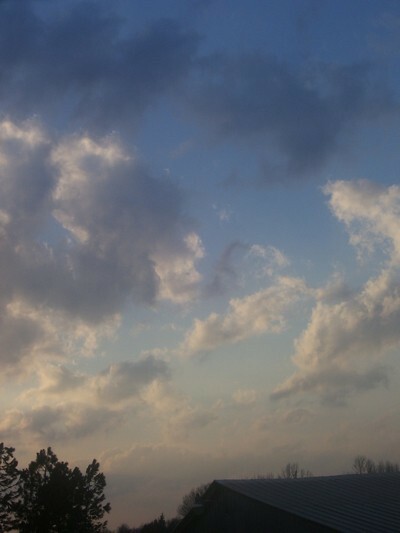 It only lasted for a few minutes then it dissappeared and right shortly afterward so did the clouds. 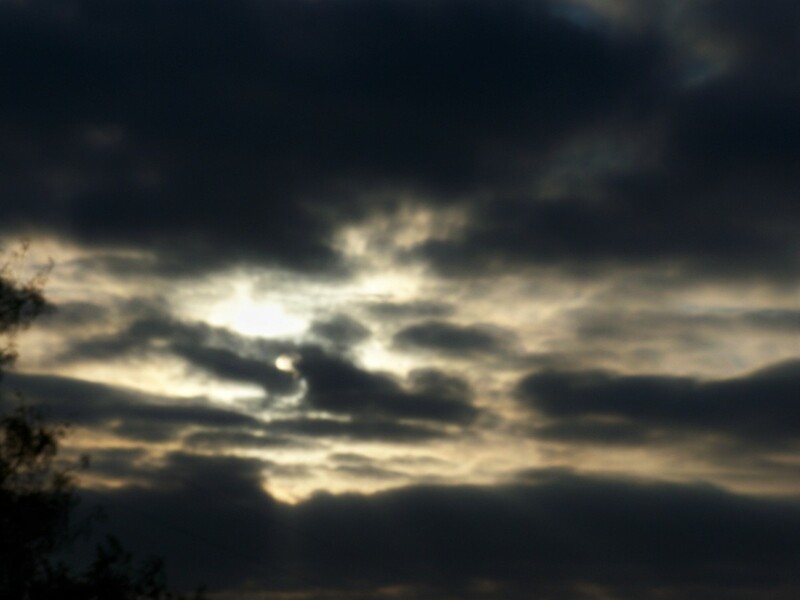 I was standing on the patio when the clouds went rushing over us and I snapped this picture. After a long, hard day of working cattle, my husband and I could not bear to call it quits. We had to watch this storm roll in. It was worth the wait and I still love to look at this photo. "Life is not about surviving the storm; it's about learning to dance in the rain". I was just in my yard snapping pictures! 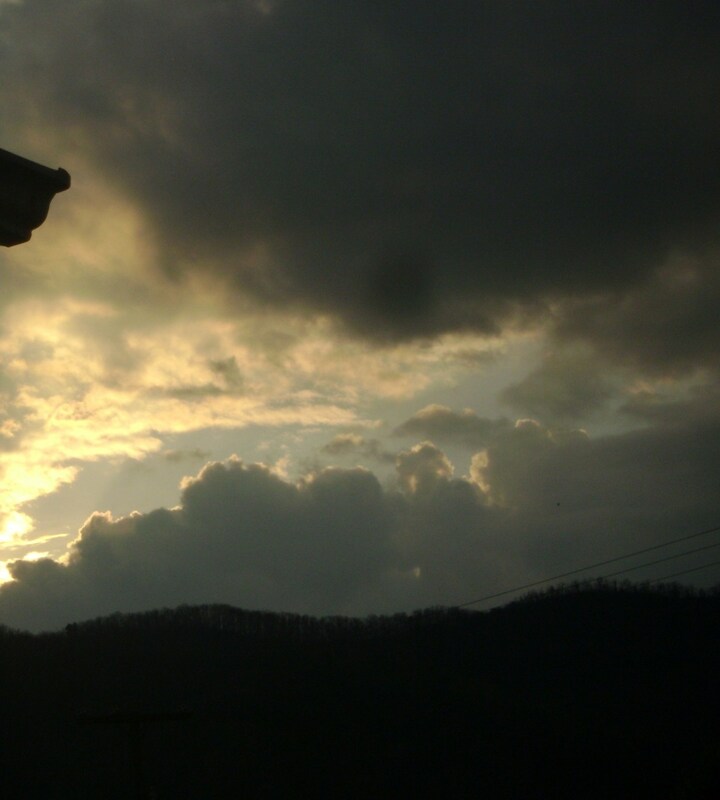 I like taking pictures of clouds. I thought this was pretty. We were suppose to have a storm so I guess they're storm clouds, but the storm never came. I love to take photos of the beauty around me. 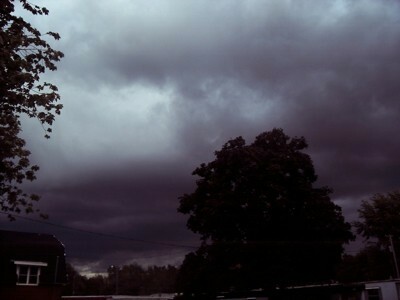 The sky looked so dark and I found it so very beautiful in its stormy look. 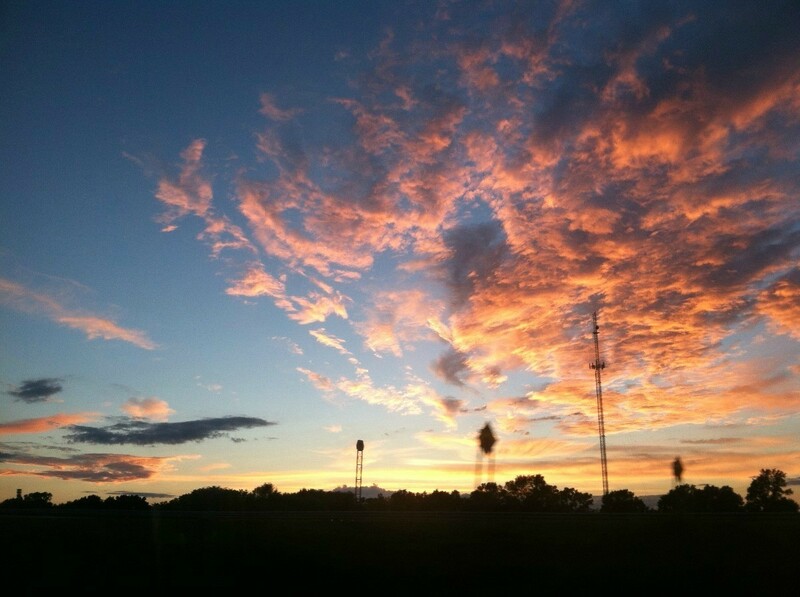 This was taken in the evening out my back door! Only a higher power can make this beautiful scene, in my opinion. 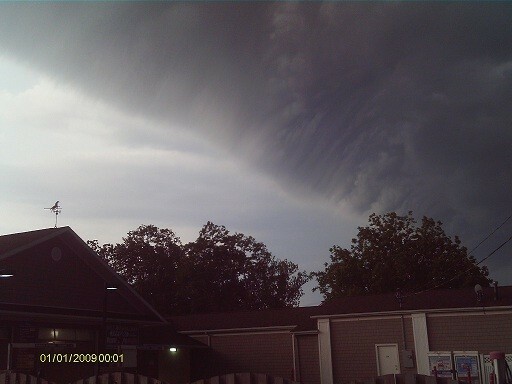 This storm passed overhead as I was coming in the house from getting groceries. I threw down my bags and grabbed my camera! We have had a hot summer with many bad storms. This was one right after it had passed. I thought it was so pretty, so I captured it.